St. Patrick's Day is a week away. Growing up my mom would make us a green breakfast to celebrate. When we got married I learned that Erik's mom did it for him too! My mom would make us green pancakes and Erik's mom would include green milk. We had to carry on the tradition. This year I decided to make pancakes from scratch instead of from a mix. 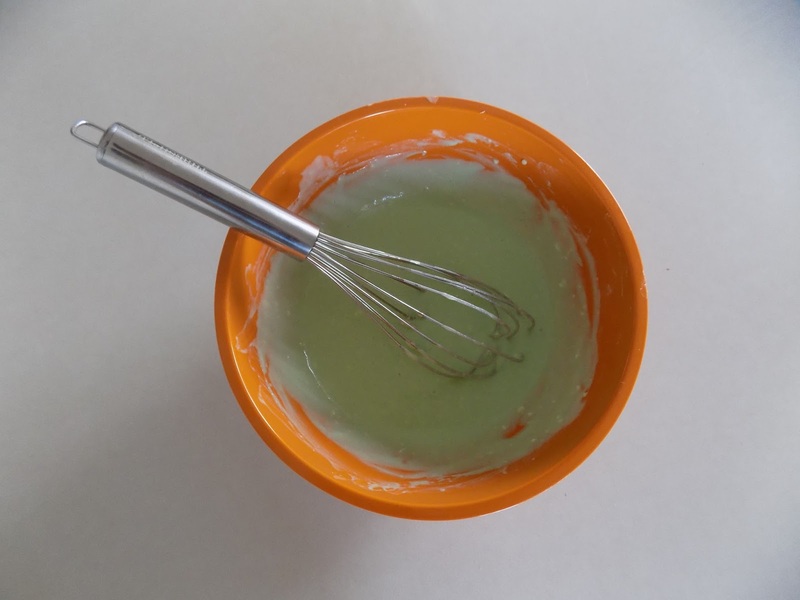 In a large bowl whisk flour, baking powder, baking soda, salt and sugar together. Add the eggs, buttermilk and butter. Mix until blended but leave lumps in the batter. 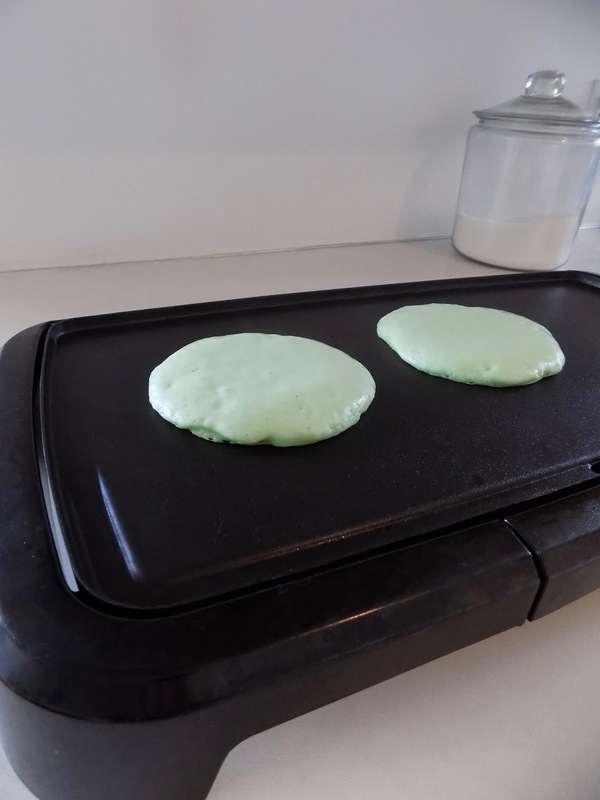 Grease your griddle or pan and add half a cup of batter once heated. Flip once the edges start to harden and small bubbles form. Cook on the opposite side until golden brown. We add green food coloring to our batter before we cook to turn our pancakes green. 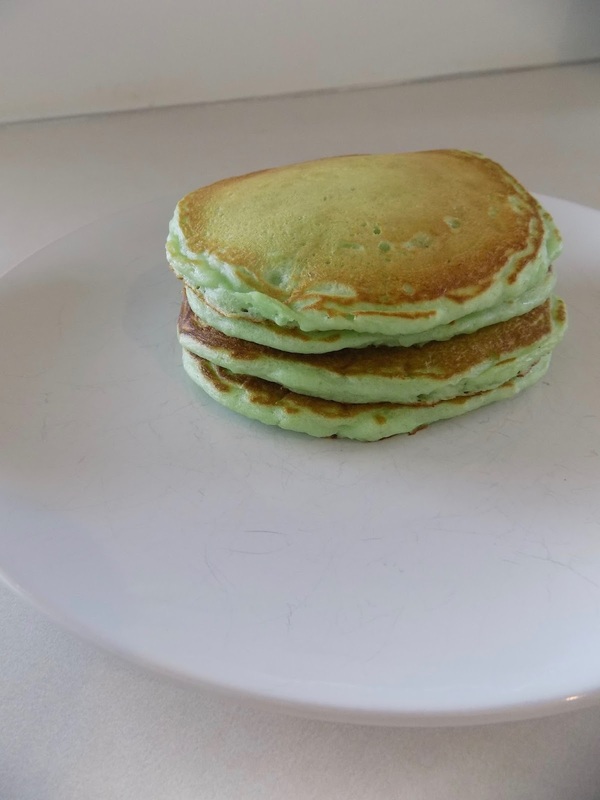 We used the regular green food coloring but I would like to try the neon green next time. I think the color will be more vibrant. 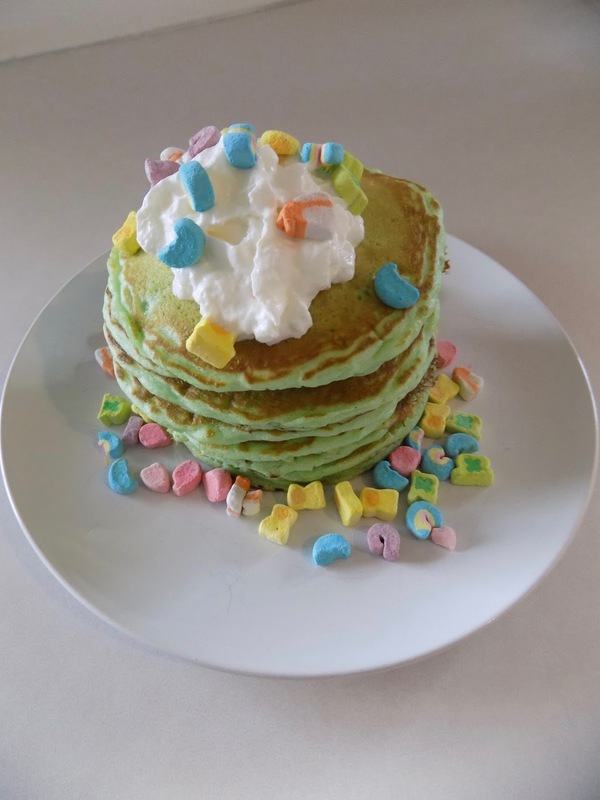 To make our pancakes even more festive we added whipped cream and marshmallows from Lucky Charms cereal. And they were super yummy. We enjoyed some milk to help wash them down. Erik hasn't quite sold me on green milk just yet but there is always next year!